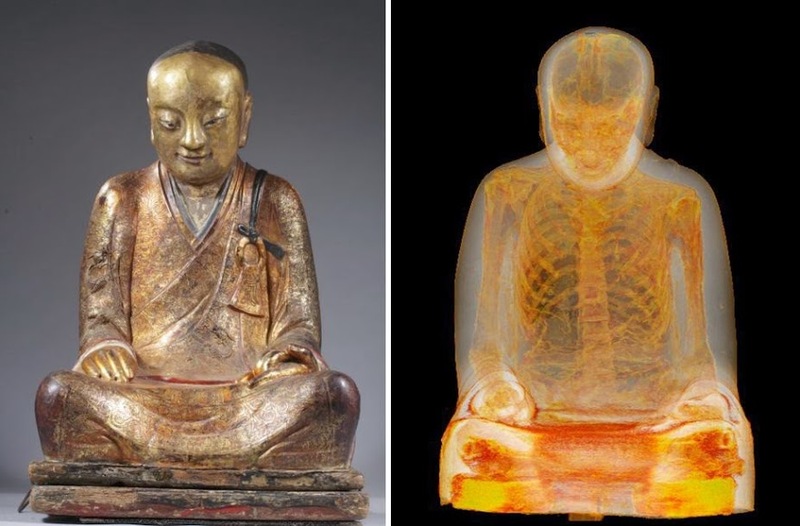 A remarkable study carried out recently in the Netherlands has revealed that a Chinese’s Buddha statue actually contains the remains of a mummified monk. 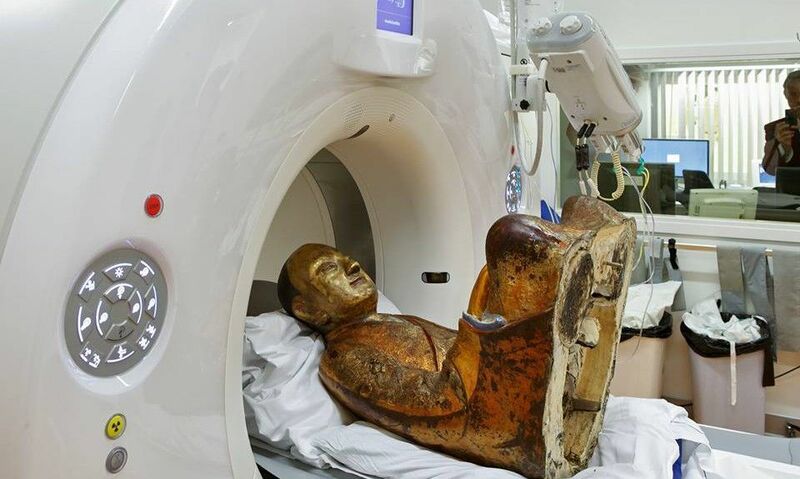 The statue dates from c. 1050-1150 AD and is believed to hold the body of a Chinese Buddhist master, Liuquan. 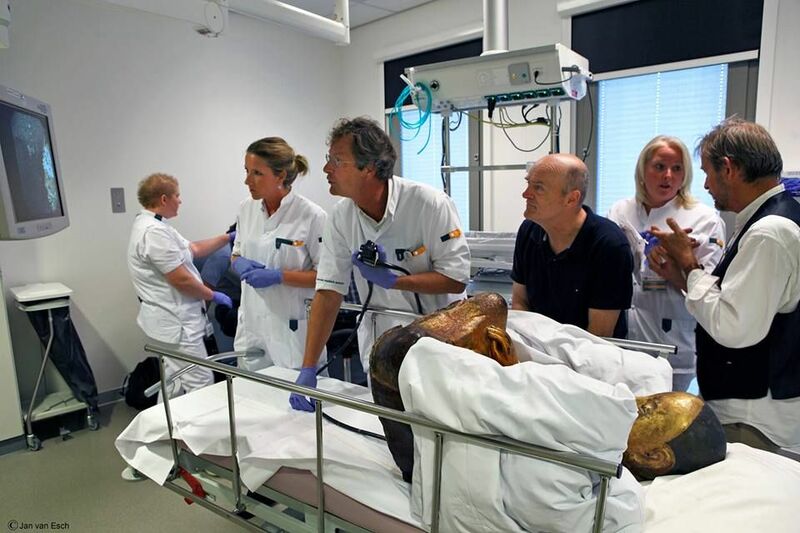 The study of the mummy was carried out under the supervision of Erik Bruijn, an expert in the field of Buddhist art and culture and guest curator at the World Museum in Rotterdam. He was aided by a team of medics including Reinoud Vermeijeden, a gastrointestinal doctor and Ben Heggelman, a radiologist. Their work revealed that the thoracic and abdominal cavities of the mummy were stuffed with a yet unidentified material, while scraps of paper containing ancient Chinese characters were also identified. The CT scan clearly illustrated the mummy’s skeletal structure and the medics took some small bone samples for DNA testing. The team’s research is expected to be published in an upcoming monograph, while the mummy is currently on display at the Museum of Natural History in Budapest, Hungary (until May 2015).